Black, brown or green marks on walls or in corners not only get to residents for optical reasons – above all, they represent a health risk. We are talking about mould. According to the Bundesverband Schimmelpilzsanierung (the German federal mould removal association – BSS), the inconvenient ‘lodger’ is one of the bones of contention that are most common by far on the property market and, according to data from the Fraunhofer Institute for Building Physics, is connected to around ten per cent of all cases of structural damage. Nevertheless, there are still various misunderstandings regarding its formation and how to combat it. The biggest misapprehension is probably one relating to the formation of mould. 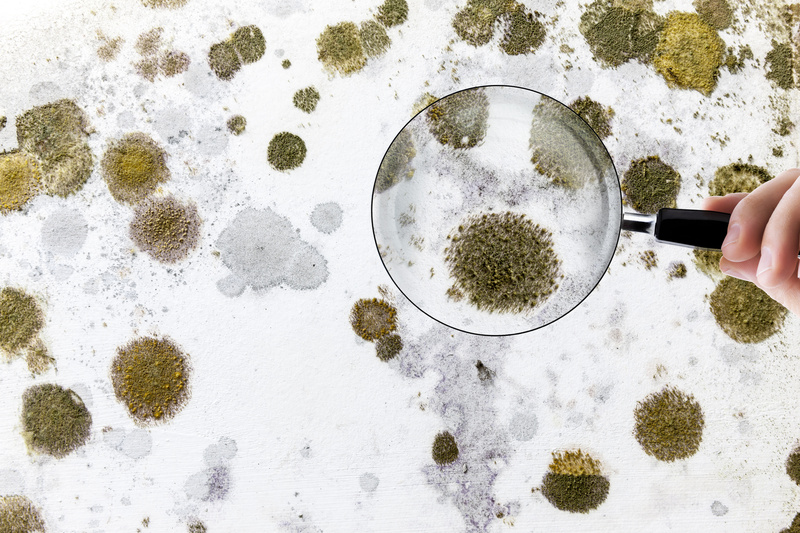 In most people’s minds, high humidity and mould are still closely connected. That is not accurate, as relative humidity is essentially of no significance to mould. It does not take moisture or nutrients from the air, but rather requires liquid water for those purposes. 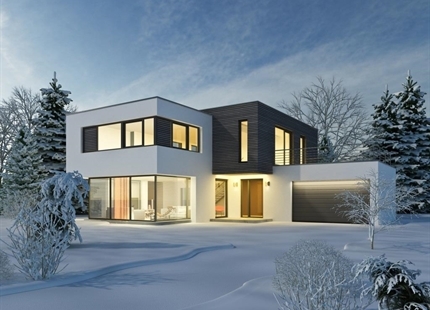 Mould therefore only stands a chance through long-term undershooting of what is known as the dew point in terms of temperature on interior walls, and the formation of water condensation on the cold wall due to the warmer indoor air. This leads to the masonry or wallpaper becoming moist, which provides optimal nourishment for the mould. The formation of water condensation can be avoided, primarily through good wall insulation in combination with suitable and sufficient ventilation. This is a dangerous fallacy, because what most people don’t know is that precisely that combination of mould and dry air can be damaging to health. 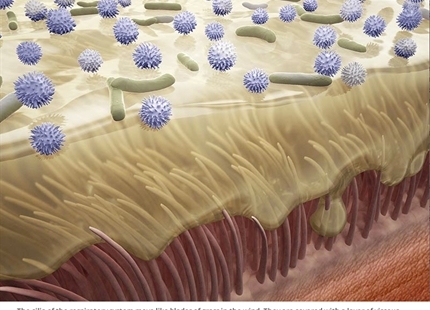 Only complete removal of the fungus-afflicted material will eliminate the risk of illness. A desert-like indoor environment with humidity values of 20 per cent and below often occurs in interior rooms that are heated in winter. Under these conditions, many fungi try to ensure their survival through increased spore production. These tiny airborne particles can spread particularly effectively in dry air, are easily swirled around and can thus enter the respiratory system. And that is the real health risk. For this reason, in the case of existing mould in particular, the better approach is to increase the relative humidity – to a range of 40 to 50 per cent. Spores and other airborne particles sink to the ground more easily under these circumstances due to their increased volume and can thus no longer be breathed in so easily. The health risk is demonstrably reduced. However, immediate professional removal of the mould from the wall is indispensable. The problem with mould is: it is not always visible to the naked eye. So if you find a small spot on the wall, you may well have had a more serious mould problem for a long time. Often, it is only possible to discover if living or working areas are afflicted with the help of what is known as a spore measurement device. As no threshold values have thus far been established for mould, a precautionary principle must be applied. That is because fungi not only represent a hygiene problem, studies have shown that they increase the risk of asthma by up to 40 per cent (source: Fraunhofer Institute for Building Physics), stimulate the development of allergies and can even trigger life-threatening infections. 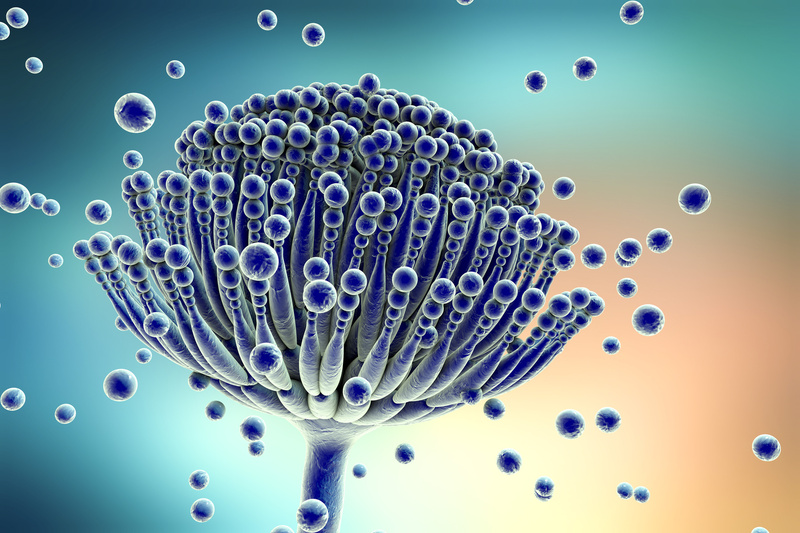 Urgent action is therefore required as of an afflicted area of just 20 square centimetres, because mould constantly produces spores from which additional living fungus cultures can develop within 72 hours. However, it should be removed by a professional, as improper removal can allow spores to reach the skin and enter the body through the respiratory passages. 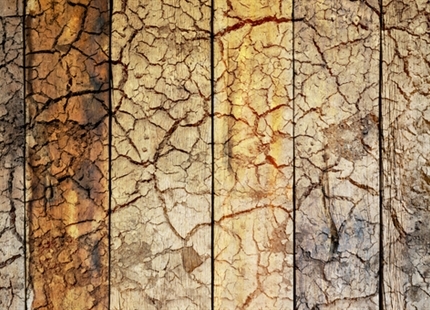 Owners often accuse the tenant of improper ventilation when mould occurs. However, things are not that simple, because the possible causes of mould are varied: moisture entering due to permeable building components, poor wall insulation, bad wall surface integrity or incorrect ventilation. If you follow certain rules when ventilating, you can reduce the risk of mould in the flat. Experts therefore recommend: 1. Get rid of humidity peaks (above 60 per cent) immediately after showering, cooking or drying clothes with intense ventilation via wide-open windows. 2. Long-term ventilation with windows tilted open should be avoided, partly for energy reasons. 3. Twice a day, preferably in the morning and evening, ventilate intensely with open windows and interior doors for five to ten minutes – ideally throughout the entire flat. Bear in mind: an indoor environment that is healthy for residents means ensuring relative humidity of 40 to 60 per cent – this is possible thanks to the latest technology. 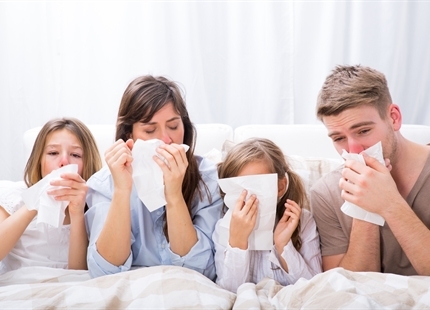 Correct relative humidity plays an important role when it comes to reducing the risk of infection by colds and flu, especially in the winter months. However, for people in employment in particular, it is often not easy to find the right balance in terms of temperature, air exchange and humidity. In winter, this can quickly lead to relative humidity falling to below 20 per cent – which is generally very bad for the respiratory organs and mucous membranes. Anyone who wants to make sense of the humidity in their living areas can monitor it with a simple hygrometer (approx. 20 euros). 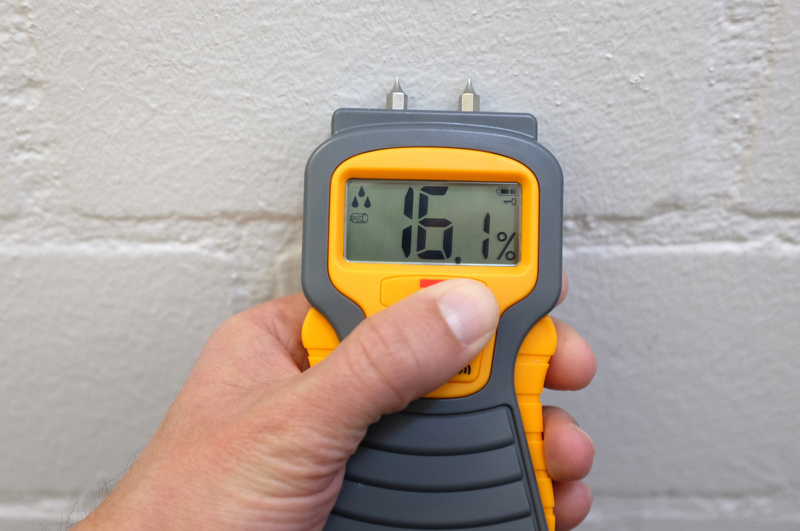 However, you should ensure that in poorly insulated constructions (mostly older buildings), an indoor relative humidity of 40 per cent and not more is set using a hygrostat (humidity regulator), as cold interior walls present an increased risk of water condensation through poor insulation or thermal bridges and thus form the basis of life for unwanted mould. It is therefore important to get experts, who can provide suitable recommendations for the residence in question, involved at an early stage. Condair already ensures ideal humidity, and therefore a healthy indoor environment, in offices, call centres and showrooms worldwide.